Can I change the size of the metal shelves Elfa? Yes, you can reduce the size of the shelf yourself with a hacksaw, metal scissors or a grinder. Consider the fact that after cutting very sharp ends remain. We recommend that you turn the shelf with the cut edge towards the wall or put on the end caps for the wire shelf art. 620010, 620080. 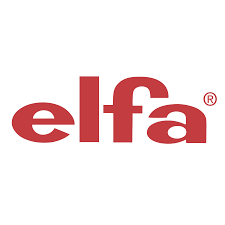 How secure is the Elfa attachment system? Do I need to attach the guides to the wall? No, no additional wall mounting is required. The more weight on the system, the more stable it will be. There are even holes for the screws on the mounted rails. But for the tranquility of the consumer, the concern has released a clip fastening a hanging rail to the wall art. 470718, 470768. What load is the bracket designed for melamine shelf? With a uniform weight distribution, any melamine bracket can withstand a maximum weight of 55 kilograms. What is the maximum load on the basket in the rack? Approximately 8 kilograms, although theoretically the weight could be more, but we do not recommend to overload the baskets for ease of use. This is especially important if the baskets are located at the top of the rack and are often moved forward. What is the maximum distance between guides? We do not recommend distance between guides more than 90 cm. 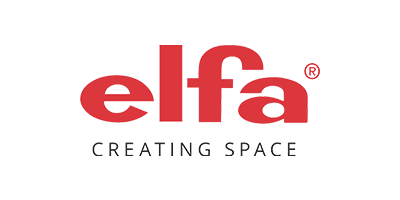 How much weight do Elfa metal shelves support? It depends on the wall on which you want to mount the system. Concrete walls can withstand more than plaster. Gypsum wall, light concrete wall approx. 30kg., Double gypsum wall approx. 50kg., Brick-60kg., Wood-65kg., Concrete-70kg. Is it possible to self-assemble a wardrobe in a normal apartment? Yes, of course, for self-installation of the Elfa system does not require special skills. For installation are necessary: drill punch, level, fasteners. You can study the installation sequence in detail on the "Installation Instructions" website page. What hinged guide is different from the wall? In order for consumers to be able to organize storage in rooms with walls of any materials (brick, concrete, drywall, etc. ), Elfa has developed two systems for fixing to the wall (wall and hinged). The wall system assumes a greater number of attachment points to the wall of bearing elements and is used at increased loads on the shelves (storage of heavy objects, such as tools, books, car accessories, etc. ), as well as for less durable walls (for example, from foam concrete). The hinged system is more convenient, because the number of attachment points to the wall is several times smaller, but it is used for sufficiently strong walls (brick, concrete, drywall installed correctly) and in the case of reasonable loads on the shelves (storage of clothes, shoes, bags, etc.). For more information about our products, please contact the nearest Elfa certified salon. What is the coating of steel structures? What are rails in baskets for? What does basket on 1 rail complete with frame mean? How is it seen and what are these rails for? What should be considered when choosing the number of rails in the basket? The number of rails, indicated on the packaging of the baskets, refers directly to the depth of the pull-out baskets, which will be placed in the rack or in the pull-out frame. Those. a pull-out basket on 2 rails will occupy 2 rails in the rack. Basket on 3 rails - 280mm depth. A double rail basket is the best size for storing clothes. In such a basket is placed 10 men's folded shirts. This is our most popular pull out basket. Socks and underwear can be conveniently stored and found in pull-out baskets on one rail. Well, baskets for 3 rails are used to store more voluminous things (sweaters, bed linen, etc.). Retractable baskets are easily rearranged from top to bottom or from one closet to another, when changing seasonal sets of clothes. Baskets can be sold both separately and assembled with a retractable frame. Is it possible to mount the bar for clothes on the brackets for shelves made of chipboard and how long can the brackets be? on these brackets, the rod is attached with a hook. Recently, a new item appeared on the market: "Bracket for a melamine shelf 37 cm, with a groove for the suspension." This bracket will allow you to install the bar for hangers under the melamine shelf.